Much of the “new wave” of contrastive linguistics has focused on aspects of the grammatical system, examining phonological, morphological, lexical and syntactic similarities and differences across two or more languages. As with many other areas of linguistics, there exists a renewed interest in discourse perspectives in the study of languages in contrast, and much of that work uses corpora and corpus linguistics techniques to study language. This volume provides examples of cutting-edge research in contrastive analyses of different languages. The papers have been organized around four themes: studies of discourse markers; information structure; registers and genres; and phraseology. The languages included (Dutch, English, French, German, Italian, Spanish and Swedish) cover a range of European languages, showing not only diversity in their grammatical structures, but also subtle differences that are the focus of many of the papers. The techniques used, from concordancing and careful annotation to painstaking qualitative analysis, showcase the variety of approaches to the study of languages in contrast and include contributions from discourse, corpus and functional perspectives. A rich collection of papers, illustrating various approaches in contrastive linguistics. The specific attention paid to register and genre analysis and to learner data puts the collection at the forefront of modern corpus linguistics. 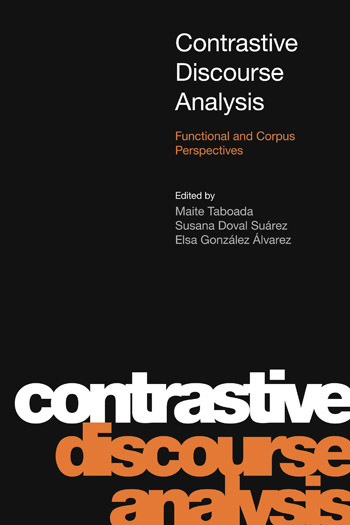 This volume is an excellent choice for researchers needing an overview of recent research trends in contrastive discourse analysis. An understanding of the diverse theoretical perspectives discussed in this volume provides excellent background knowledge for understanding how contrastive discourse analysis is defined and why certain research methods are used in empirical studies. The present volume is, all in all, a very valuable and original piece of work for two main reasons: first, because the diversity of European languages dealt with in the book (Dutch, French, German, Italian, Spanish, Swedish and English, of course), together with the variety of methodological strategies (ranging from concordancing and careful annotation to painstaking qualitative analysis) used to analyse the different discourse phenomena dealt with, show that the contrastive analysis of languages can be approached from very different angles. And second, because, due to the preliminary character of almost all its chapters, it opens some interesting new lines of research within the field of Contrastive Linguistics. Notice at this point that it revolves around very diverse discourse issues from corpus and functional perspectives which up to now have been almost completely disregarded within the contrastive linguistic tradition, thus calling for further contrastive studies of this type.